from americanvision.org: Atheism seems to be on the rise. A number of young people are taking to it like they did to disco in the 1970s. But alas, like all trends, it met its end on Disco Demolition Night July 12, 1979 at Comiskey Park in Chicago, Illinois, where a crate filled with records was blown up on the field. It took young people less than a decade to find out how silly they looked. 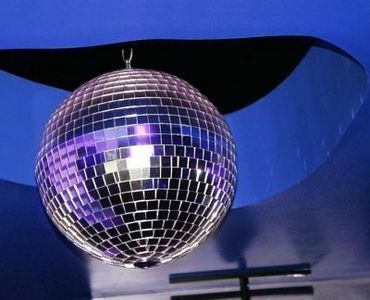 Remnants of the disco sound were still popular for a time, for example, Rick Astley’s “Never Gonna Give You Up” (1988). If you’ve ever been Rickrolled, you’ll know the song. Disco could never have happened if it didn’t have other music styles from which to borrow. That the case with all musical trends and everything else. Some scientists are claiming that the world’s largest atom smasher—the 17 mile-long particle accelerator near Geneva, Switzerland— has found the “God Particle,” something that has eluded scientists even though they “knew” it existed. Like the so-called God Particle, Dark Matter, another Holy Grail of science, needs a source. Where did these building blocks of the cosmos originate? The same is true for morality and reason. What is their origin? What makes reason reasonable and morality moral? Atheism, founded on evolutionism, is like disco: The music is catchy, but it’s dependent on other musical styles. It could not stand on its own, and it couldn’t have developed on its own. Without previous musical styles disco never would have happened. For some odd reason that I cannot explain, a letter I received reminded me of the demise of disco and the eventual demise of atheism. Atheists insist they can account for morality. They can’t. When I say this, I am often accused of accusing them of being immoral. I’m doing no such thing. The reason they are moral in any way is due to the fact that they are created in the image of God and “they show the work of the law written in their hearts, their conscience bearing witness and their thoughts alternately accusing or else defending them” (Rom. 2:15). In addition, atheists borrow from a theistic worldview, even though they will never admit it. They know that morality could never have evolved since anything that can evolve to this point in time can evolve further in another point in time. What’s evolutionarily immoral today could be evolutionarily moral in a thousand years. I don’t have time at the moment to address all of your response, so I’ll stick with the most fundamental ones. You assume that I am an advocate of school vouchers. I am not. I am for the abolishment of government mandated and compulsory taxpayer funded education. Having said that, given how I am forced to pay taxes to fund the education of other children while my wife and I paid for the education of our children for 12 years, I don’t see how a voucher would be unfair. The fact that public schools teach an atheistic worldview and now a homosexual worldview (California), I resent the claim that vouchers would be an economic and philosophical affront to taxpayers. Non-government schools save taxpayers money. In the county where I live, 10,000 students do not attend public schools. That’s more children than attend all the schools in Marietta, Georgia, the largest city in Cobb County. That Marietta city school cost taxpayers nearly $60 million to build, $22 million over cost estimates. This does not include upkeep. The number of non-government schools and homeschooling families continues to increase at no cost to taxpayers. I just got back from speaking to two such schools in Delaware and Pennsylvania. These kids can run rings around most public school kids in the areas of history, logic, Greek, Latin, and rhetoric. The curriculum is about learning. Self-esteem is the result of children realizing that they are created in God’s image and that God has given them special gifts. When these gifts are nurtured, so-called self-esteem issues go away. The shooter described himself as “a social Darwinist.”(3) An almost identical article appeared in Sky News but with no reference to the Darwinism association. I haven’t heard any of the New Atheists explain this evolutionary “logic” and how it is morally wrong for an atheist to kill the unfit. I’m most interested in what super-atheist Richard Dawkins has to say since he blames religion for all types of ills: “Religious beliefs are irrational. Religious beliefs are dumb and dumber: super dumb. Religion drives otherwise sensible people into celibate monasteries, or crashing into New York skyscrapers. Religion motivates people to whip their own backs, to set fire to themselves or their daughters, to denounce their own grandmothers as witches, or, in less extreme cases, simply to stand or kneel, week after week, through ceremonies of stupefying boredom.” Dawkins doesn’t like to talk about the irrational, dumb, dumber, and super dumb belief system called Communism and the 100 million deaths at the hands of its atheist practitioners. Christian schools are not afraid of evolution. An entire semester is spent on the creation/evolution debate at Dominion Christian School, the school where my youngest is a graduate and I taught an apologetics’ class. The students read important literature on the subject from both sides of the argument. I suspect that more evolution is taught in Christian schools than public schools. I have followed the creation/evolution debate for decades. I have a library of more than 25,000 volumes. I have a large section on general science, creation, and evolution. I keep up with every facet of the debate. I have watched this debate unfold. The evolutionists are loosing in the court of public opinion. Some of their own scholars have abandoned orthodox Darwinism. While not all of them have become creationists, they have admitted that evolution is impossible. Francis Crick, of DNA fame, postulated the “panspermia theory” (sometimes known as exogenesis) that life exists throughout the Universe, distributed by meteoroids, asteroids, and planetoids. Of course, he does not explain where the alien life came from. No one ever does. When the mechanism and evidence for gradual evolutionary progress could not be proved through the fossil recored, Stephen J. Gould and Niles Eldredge concocted “punctuated equilibrium.”(4) When the facts don’t fit the theory, change the theory. This answers your claim that “The problem with creation ‘science’ is that instead of being a system designed to discover truth, it is a system designed to confirm an already existent belief.” Evolutionists do this all the time. I can show it again and again. The early excitement over “Hobbit Man” is a good example. Every fossil find is an evolutionary fossil find. It’s a matter of faith, not science. It’s no wonder that National Geographic and Wired Magazine are still dealing with the debate. Even they admit that with all the pro-evolution, unchallenged propaganda that’s printed in newspapers and magazines, and the near-monopoly of teaching evolution in government schools—from kindergarten to post-graduate—the evolutionists have not been able to pick up ground. Most Americans are still creationists at some level. Your claim that atheists are as moral as Christians is both true and false. True, because atheists borrow from a theistic worldview, and false because an evolutionists cannot account for morality. The “God Particle” is not a moral entity. If everything we are today evolved from the “God Particle,” there is no morality. Like the “God Particle,” it’s one thing slamming into another.